M. Phil in Mathematics, Sambalpur University, 2005-06. M. Sc in Mathematics, Sambalpur University, 2004. Diploma in Software technology and Information technology, CMC Ltd, Kolkata, 2002. OP Jindal University, Raigarh (C.G), Working as a Assistant Professor (Sr. Grade) from June 2008 to till date. 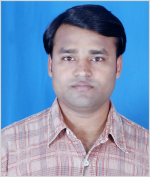 Worked as a lecturer in SCITM, Semiliguda, Odisha from July 2006 to June 2008. S. M. Hussain, R. Sharma, G. S. Seth, M. R. Mishra, Numerical and Statistical Analysis of MHD Boundary Layer Nanofluid Flow over an Exponentially Stretching Sheet, International Journal of Heat and Technology, Vol. 36, No. 4 (December) 2018 (To be appeared). S.M. Hussain, R. Sharma, G.S. Seth, M.R. Mishra: “Numerical and Statistical Analysis of MHD Boundary Layer Nanofluid Flow over an Exponentially Stretching Sheet”, International Journal of Heat and Technology (Communicated), 2018. S. M. Hussain, O. D. Makinde, G. S. Seth, M. R. Mishra, “Stability Analysis and Multiple Solutions of MHD Boundary Layer Dissipative Flow over a Stretching/Shrinking Sheet”, Arabian journal of science (Communicated), 2018. M. R. Mishra, S. M. Hussain, R. Sharma and G. S. Seth: “Effect of heat absorption on Cu-water based magneto-nanofluid over an impulsively moving ramped temperature plate”, Bulgarian Chemical Communications, Vol:50(4), 2018 (Accepted). M. K. Jena and M. R. Mishra: “A New Look at Compactly Supported Biorthogonal Riesz Bases of Wavelets”, Int. J. of Intelligent system design and Computing. Vol:1, 2017. M. K. Jena and M. R. Mishra: “Computation of Compactly Supported Biorthogonal Riesz Basis of Wavelets”, Computational Intelligence in Data Mining - Volume 3, Smart Innovation, Systems and Technologies (Springer) 33 , 2015 , pp: 659-671. M. R. Mishra and M. K. Jena “Computation of Compactly Supported Biorthogonal Riesz Basis of Wavelets”(ICCIDM-2014), held on VSSUT Burla, Dec 20-21, 2014. M. R. Mishra and M. K. Jena “A short review of Frames and Riesz Bases” on Indian Science Congress Association: Bhubaneswar Chapter,16th Odisha Bigyan Congress, held at Institute of Physics, Bhubaneswar during Nov 23-24, 2013. Two-week Refresher course on “Partial Differential Equation and Applications” at IISER, Bhopal from 3rd July 2017 to 15th July 2017. Two days International Workshop On “Recent Trends inMathematics & Applications” (IWRTMA - 2016), 1st – 2nd, August 2016 VSSUT, Burla Odisha. One-weekQIP-STC on“Role of Numerical analysis in ScientificComputing” at IIT, Guwahati in 20th-24th May, 2013. Two days Faculty Development programme on “Applied Mathematics” held on 9th -10th Nov 2012 organised by CSVTU, Bhilai. One-day Workshop on “Research and Data Analysis using SPSS 18.0 for effective managerial decision” held on 24th July 2010, organised withSPSS south Asia and RIMS Rourkela, Odisha. Two days National Workshop on “Mathematical Aspects on Computer Science” held on 14-15 March 2009 at Sambalpur University, JyotiVihar, Burla, Odisha. Member of Odisha Mathematical Society from 2012.